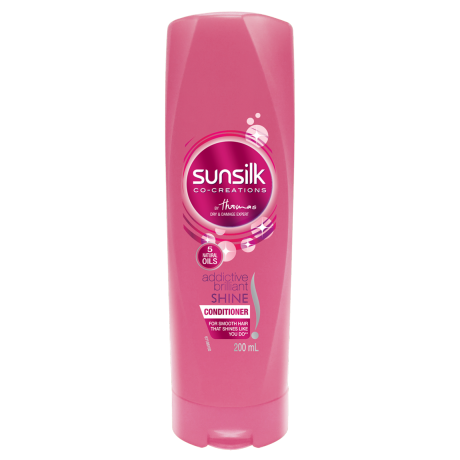 Sunsilk Addictive Brilliant Shine Conditioner 350ml for For smooth hair that shines like you do** **With use of shampoo and conditioner vs non-conditioning shampoo. Ready? Use after every shampoo. Gently masage through to the ends of your hair, then rinse thoroughly. For even more incredible hair, why not combine it with Sunsilk Addictive brilliant shine Shampoo?